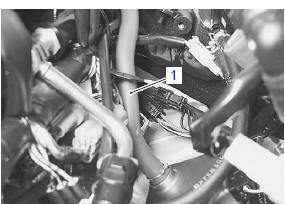 Disconnect the crankcase breather (pcv) hose (1). Remove the crankcase breather (pcv) cover (2). Fit the clamp to the bolt “a”. 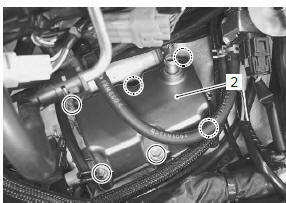 Connect the crankcase breather (pcv) hose securely. 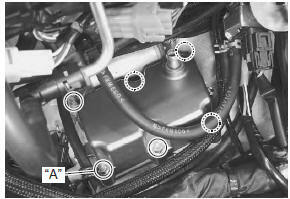 Refer to “throttle body construction” in section 1d .